i’m stoked. you’re stoked. understandably so. go download the disregardables album. Hey all! Here, you have six (out of thirteen) tracks from “Exit Strategy,” a full length from Atlanta’s own The Disregardables. This is their first actual release through us, even though we’ve had their music on both of our samplers thus far. Haha. For this release, the band asked that I release half the CD for free, as they are about to leave for a three-month tour of the US, and will be selling physical copies this album in the process. Speaking of their tour, check out their myspace page, for tour dates, where you can see them, and pick up a copy of the CD! 10. Is The Kangaroo Alright? 13. We’re Not Big Shots! 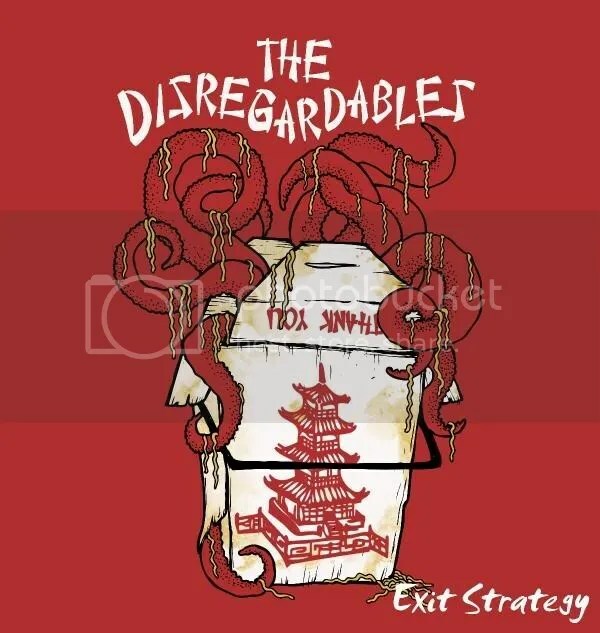 This Friday (well, tonight night at midnight), we will be putting up some songs for free download from EXIT STRATEGY, a brand new full length from The Disregardables. Also, The Best Of The Worst is working on a recording VIDEO UPDATE. I’ve only seen the first part, but it’s awesome. Paranoia Dance Party also has a new video up. I might just make a videos page for all of that. Maybe I’ll do that tonight. I would also like to make it so that when you go to download an album, a page opens with all of the liner notes and lyrics. Not quite sure how to do that yet, but I’m working on it. You are currently browsing the ***Open Hand Records - Good Music. Good People. *** blog archives for September, 2009.